Keeping your home comfortable and secure throughout the year is a major priority, and at Ball Heating & Air Conditioning, our professionals understand that your heating and cooling systems are responsible for a huge part of that. That's why we strive at every single job to provide our clients with excellent HVAC services, no matter what sort of job you need done. Whether you're having a full installation or replacement, duct modifications, or just routine maintenance, our professionals will provide you with high quality workmanship and the best customer service possible. Every one of our contractors is a licensed professional with extensive training and experience, so we can guarantee that you'll be working with a professional you can trust. We know that these parts of your home are extremely important to you and your family, so we never take our responsibilities lightly when you hire us. We'll always be ready to make sure that your Park City home's heating and air conditioning systems are totally functional and efficient. Call us today with nay questions you have about the services we provide, or to schedule your appointment, and we'll be looking forward to assisting you. During the summer months, temperatures can easily rise to around to 90° F or higher, and when they do, your air conditioner is one of the most important parts of your home. You need to be able to keep your home cool and comfortable during this time, and you also want to make sure you're not overpaying for your energy costs. That's why it's so important to find and repair any problems with your AC as soon as possible once they develop. Any problems, large or small, will make it more difficult for your AC to cool your home, which means that your Park City home won't be as comfortable, and you'll be paying higher cooling costs. Our professionals can diagnose and repair these problems quickly and professionally. We also recommend that you have your air conditioner tuned up once each year in order to find any problems before they turn into huge issues, and to keep the unit energy efficient. We also offer 24/7 emergency air conditioning services for any urgent repairs that you need taken care of. Keeping your home warm during the winter months is often more important than just keeping your home comfortable—when temperatures are low enough, your heating can be a health and safety concern for you and your family. At Ball Heating & Air Conditioning, our professional heating contractors can always make sure that you and your family are able to depend on your Park City home for the heating and comfort that you need. We can work with any kind of heating unit, including heat pumps, boilers, furnaces, and central heat. 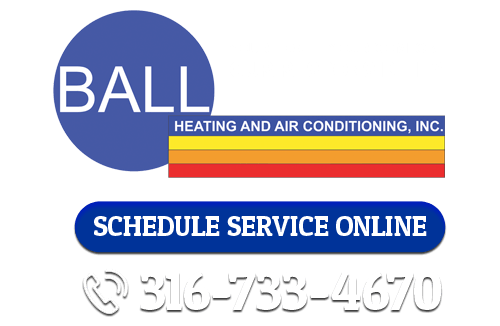 If you're looking for heating and air conditioning services in Park City, call Ball Heating & Air Conditioning at 316-733-4670, or fill out our online request form.